Anne Swisher was recognized by Pamela Bartlo as the 2020 Linda Crane Memorial Lecture awardee. 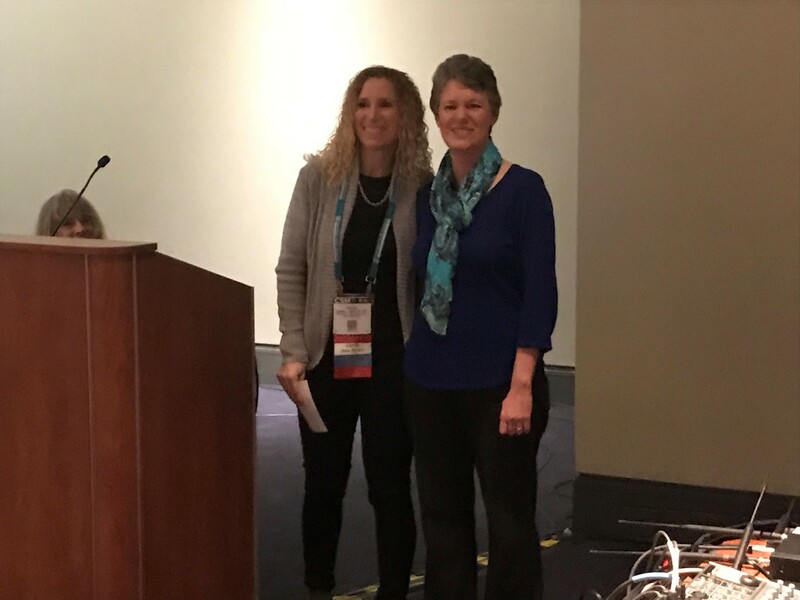 One professor in the Division of Physical Therapy, Anne Swisher, PT, PhD, CCS, FAPTA, was recently named the 2020 lecturer in the prestigious Linda Crane Memorial Lecture series. The series recognizes individuals who have made outstanding contributions to the profession of physical therapy through their work as a member of the cardiovascular and pulmonary or education sections of the American Physical Therapy Association, or the Academy of Pediatric Physical Therapy. "She has done so many wonderful things for our section and profession in multiple areas," Pamela Barlo, vice president of APTA's cardiovascular and pulmonary section and assistant professor in D'Youville University's physical therapy department, said. Swisher's work includes serving on the cardiovascular and pulmonary section's specialty council, being past editor-in-chief of the Cardiopulmonary Physical Therapy Journal. She has recieved two Fulbright scholarships for physical therapy education and clinical research internationally. Swisher has also been recognized by APTA as a Catherine Worthingham Fellow, for outstanding contribution to the profession nationally. The award's namesake, Crane, was dedicated to her career in physical therapy. She helped establish APTA's cardiovascular and pulmonary section, and was one of the first APTA board certified clinical specialists in cardiopulmonary physical therapy. Crane was a well-known educator who taught at four universities.